Once an admin has created company tags, they can be used to organize the progress of each individuals’ goals. 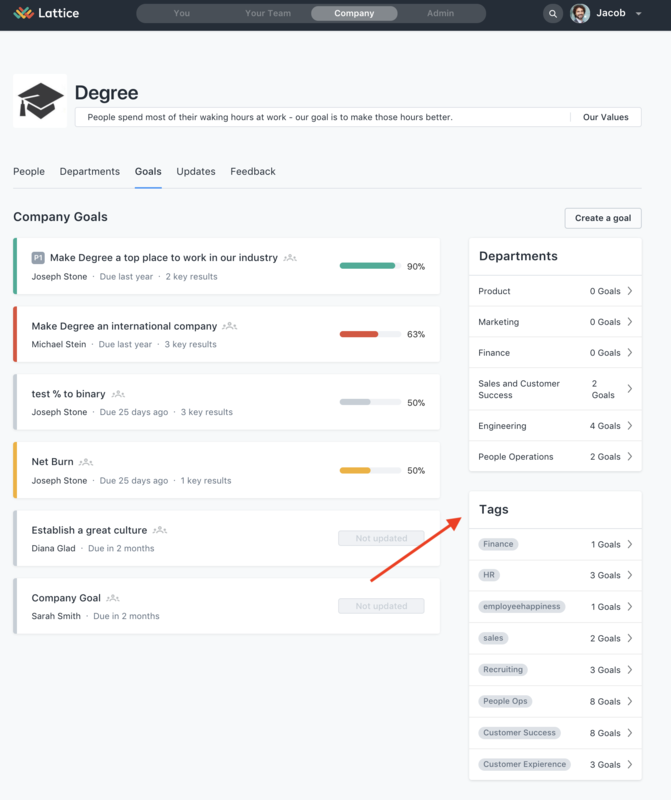 Once the tag has been applied to the Goal, all members of an organization will be able to view the Goals by going to the "Company" page. 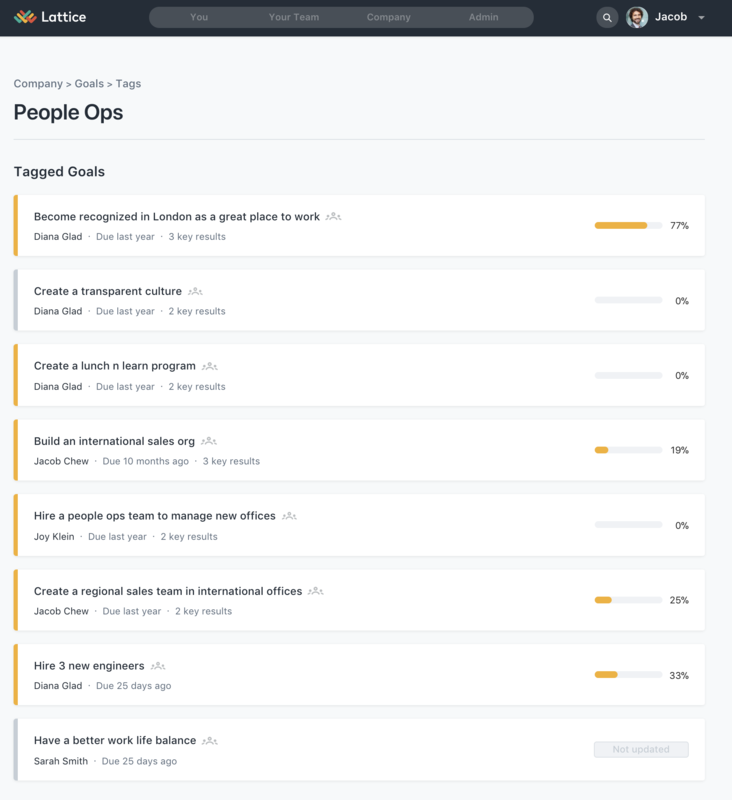 Under the Company page, choose Goals. This will show any Public Goals within your organization. From here, you can choose which Tag you want to organize Goals by. As a reminder, only Public Goals will be shared here, however, if you are a Manager, you will also have insight into the private Goals of your Direct Reports.